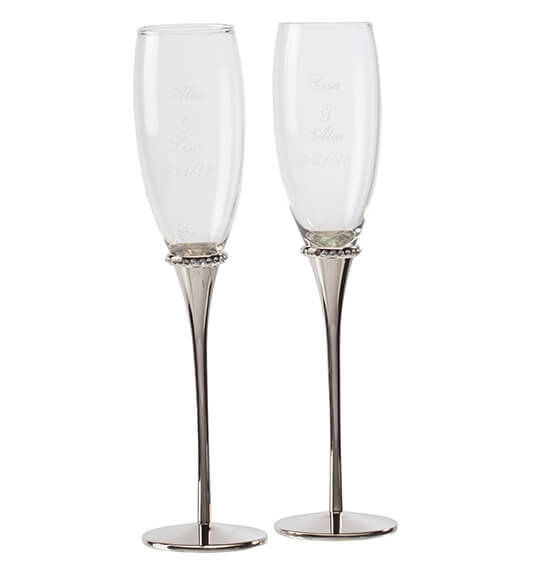 The perfect toasting flutes for a wedding celebration, or any occasion where elegance is the goal. A ring of crystal jewels embellishes the glass bowl of the flute as it meets the shiny nickel stem. 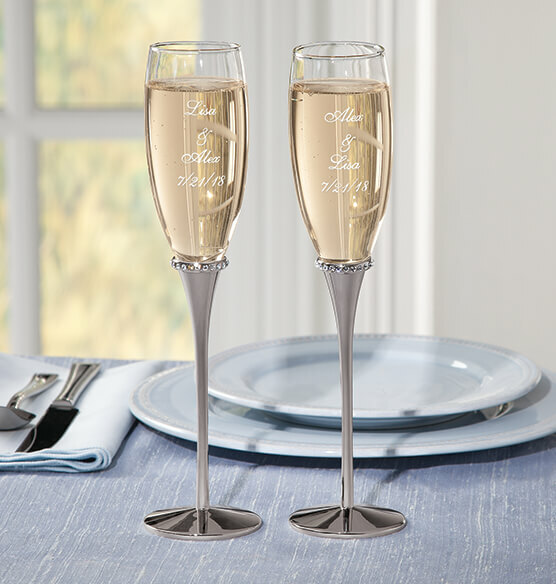 Use the flutes for special occasions, or any occasion you want to make special. The minute you pour the champagne, the magic begins. Personalize a name or message to create a keepsake of the special day. Comes in a gift box.